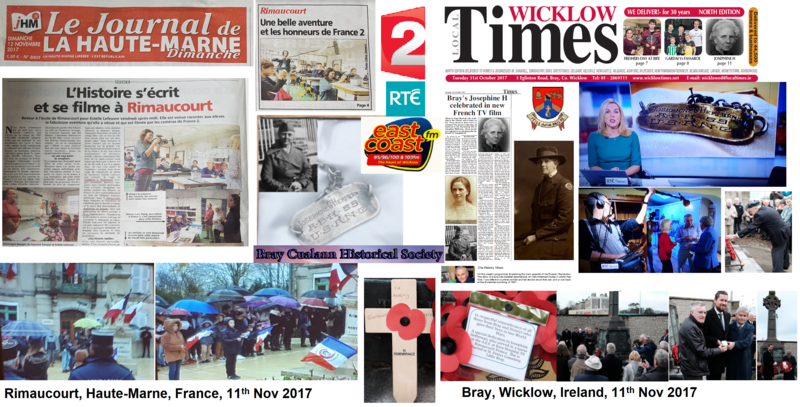 Bray, Ireland & Rimaucourt, France united in commemoration by a lost bracelet. Newspapers/Radio and TV tell the story. 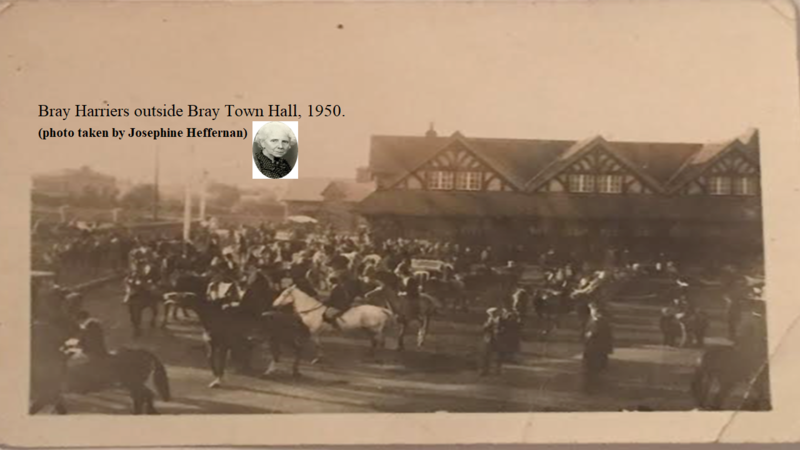 Bray Harriers, Bray Town Hall, 1950. 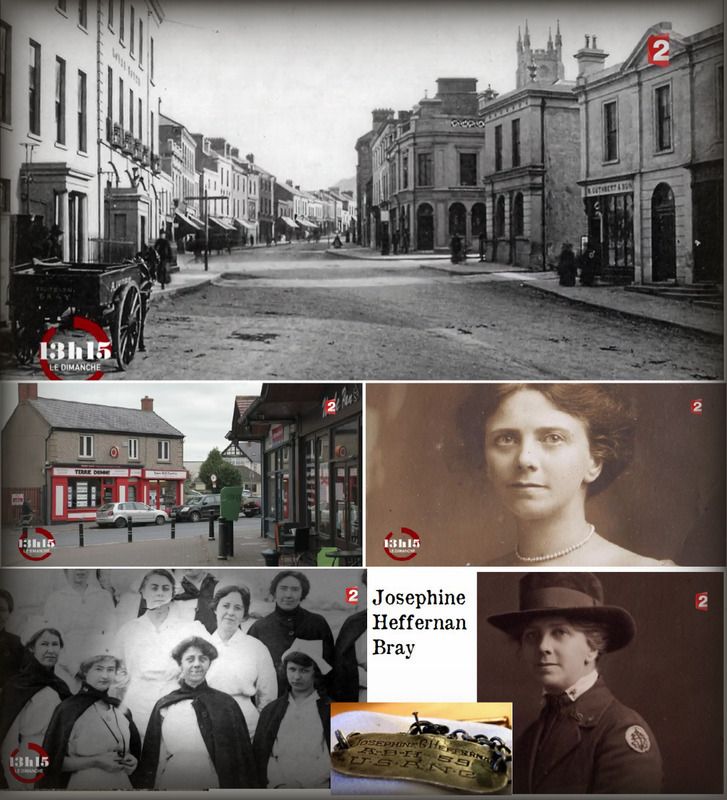 Kind thanks to Josephine Heffernan’s family for this image. 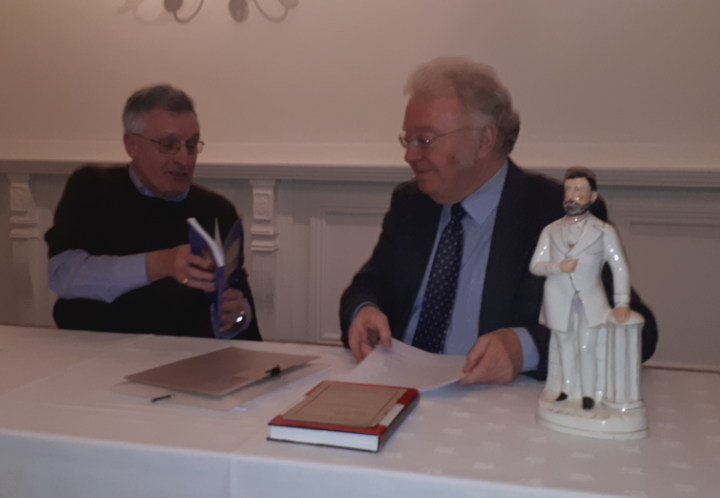 Our February talk, Felix Larkin delivered a very informative and most enjoyable presentation about “Two gentlemen of the Freeman: Thomas Sexton and William H. Brayden” and their Bray links. 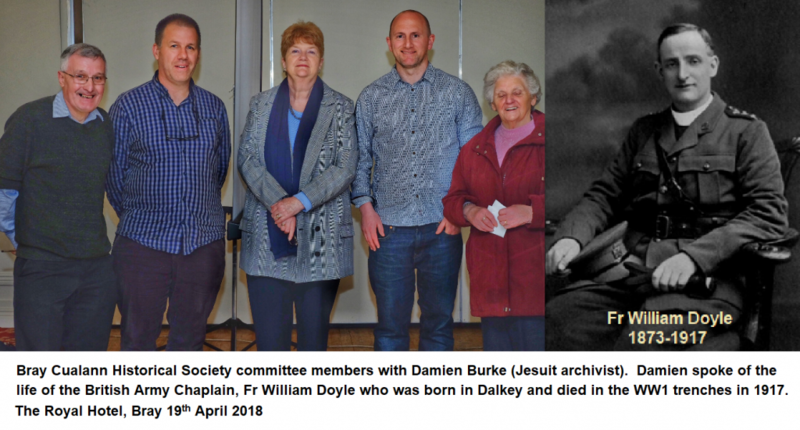 16th March 2017 – Guest speaker Dr Charles Hannon spoke about Roger Casement. 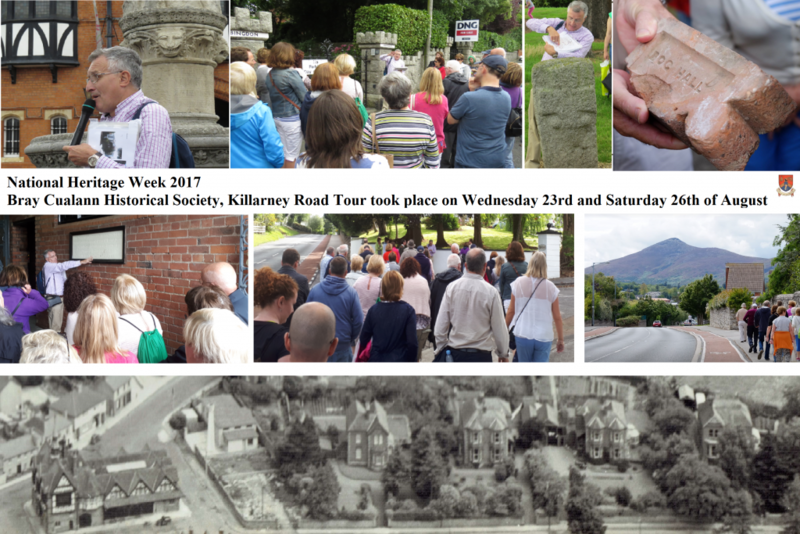 20th April 2017 – Guest speaker Tom Conlon spoke about Victorian Dun Laoghaire. 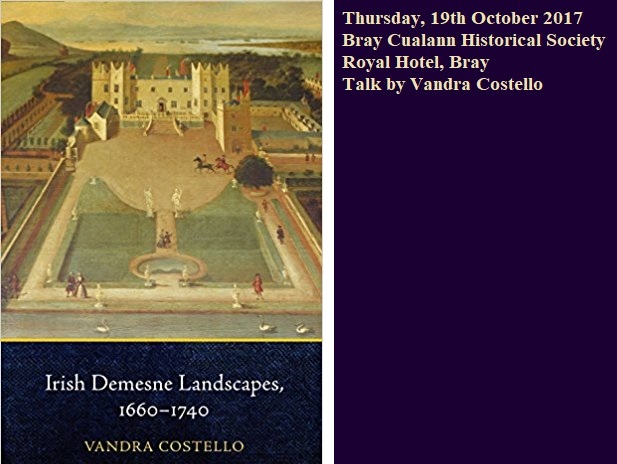 Thursday the 27th April, at Bray Harbour (Low tide at 6.30 pm). A visit to Bray’s 6,800 year old Submerged Forest off the North Strand. Speakers: Dr. Robin Edwards, T.C.D., & Dr. Jason Bolton, Archaeologist & Historian. 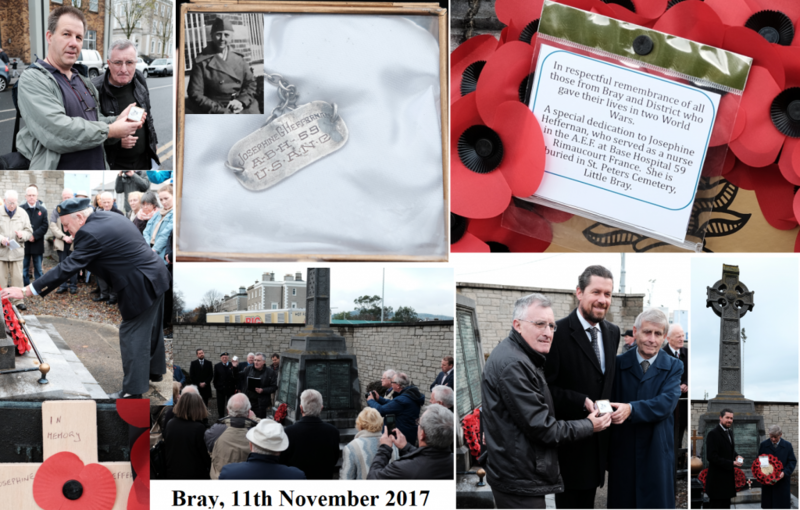 18th May – Guest Speaker Michael Lee spoke about his great grandfather Edward Lee, Drapery shop owner and member of Bray Council. Edward Lee P.C. 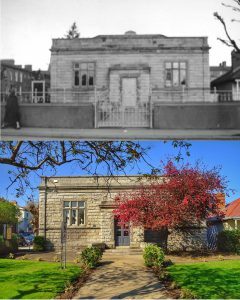 (drapery shop owner, Goldsmith Terrace, Bray) was first elected to Bray Urban Council in Jan 1900 and was Chairman in 1908. Edward was a successful business man and possessed a strong social conscience. He cared deeply about the welfare of his staff and fought hard for better housing of the working class and poor. 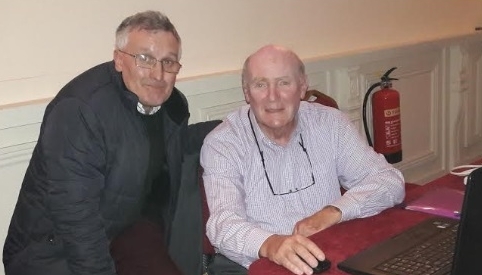 He took the middle ground during the Dublin strikes and lockout; he tried to break the deadlock by offering suggestions of compromise between the employers and workers. Michael Lee (great grandson of Edward Lee) with former staff of Lee’s Store. 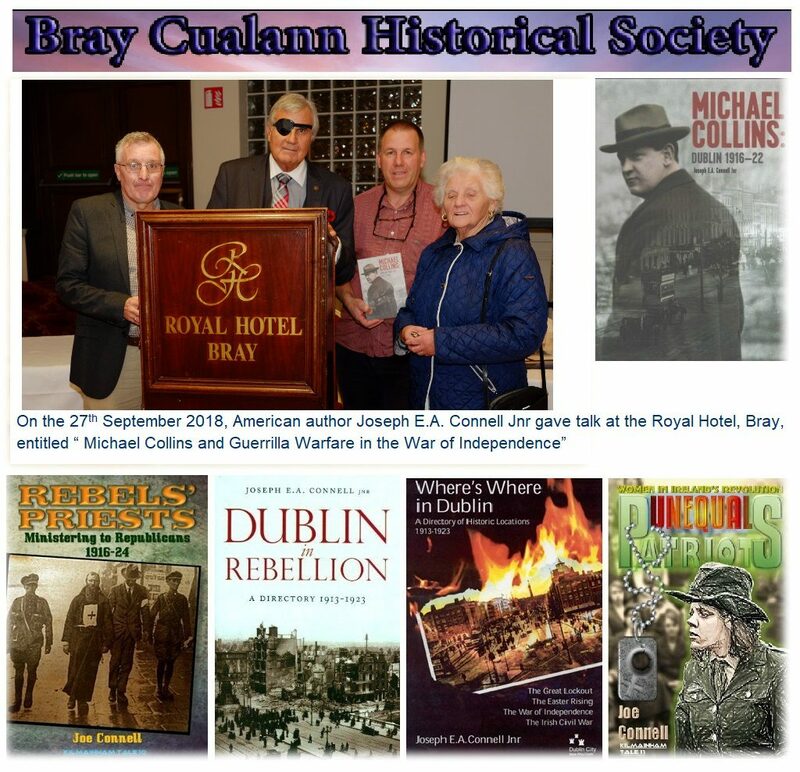 Photo taken at the Royal Hotel lecture, Bray, 18th May 2017 ( other images are Edward Lee & his Bray store on Goldsmith Terrace). 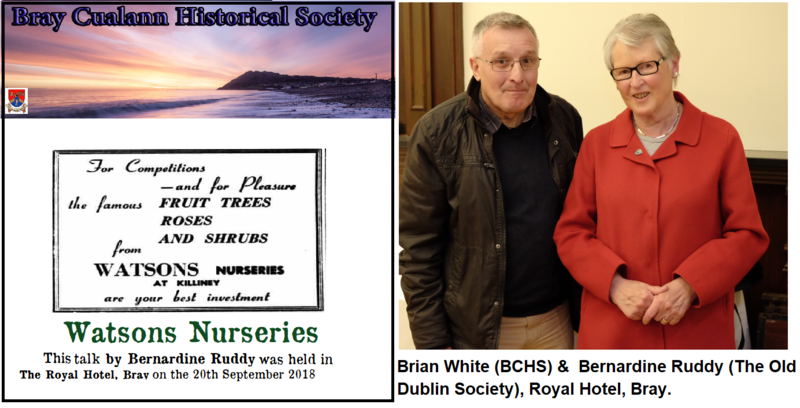 The BCHS celebrates it’s 40th Birthday this year 2017. Tonight we celebrated a special Birthday of Nancy Mahony (a founding member of the society). 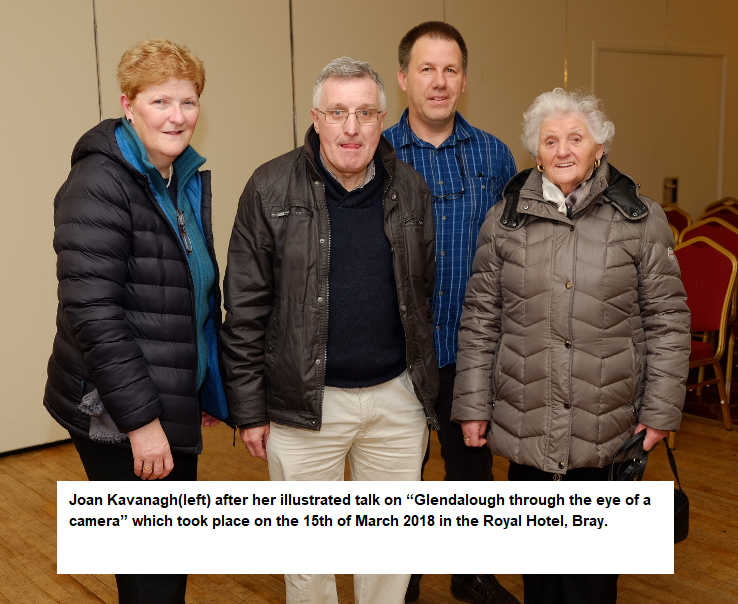 Photos : May Harte presented a bouquet of flowers to Nancy, Mark Murphy (2017 committee member) Nancy and John Byrne, Nancy with Kaye Whittle Kehoe(founding members), Brian White introducing Michael Lee. 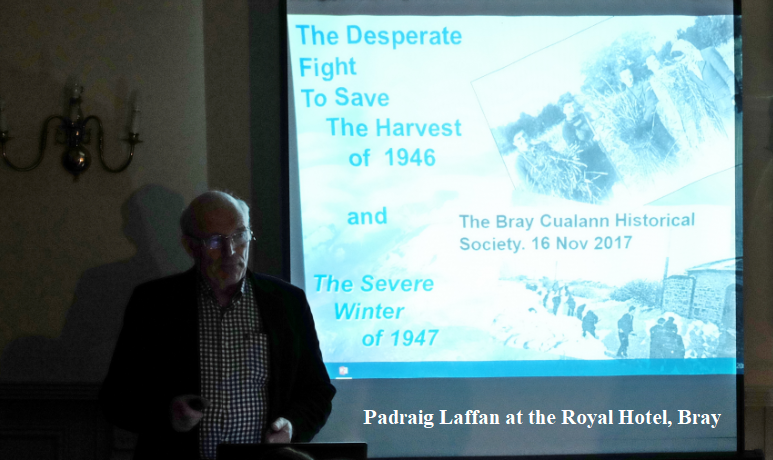 A fantastic turnout of all ages to visit Bray’s Submerged Forest. 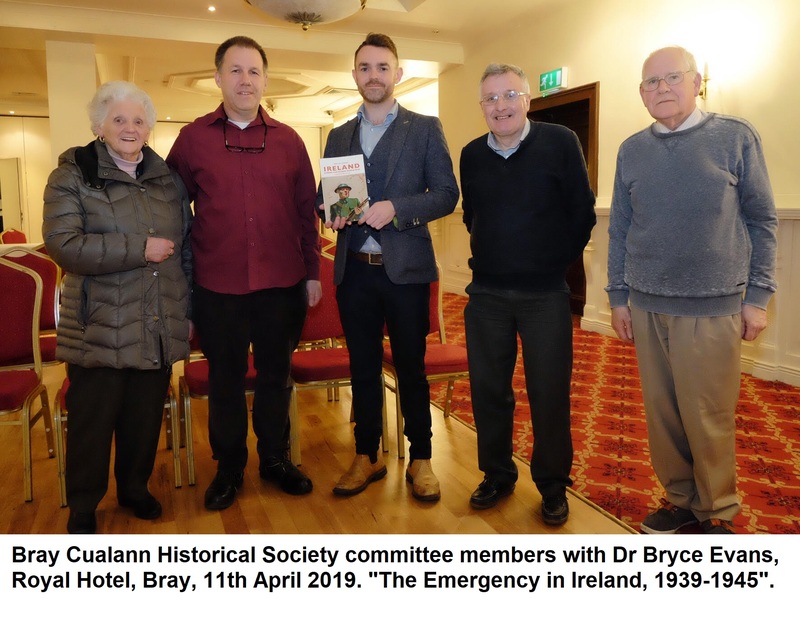 Photo includes Dave Murphy & Brian White, Cualann Society. Some of the visible traces of Bray’s Submerged Forest, North Strand, Bray. 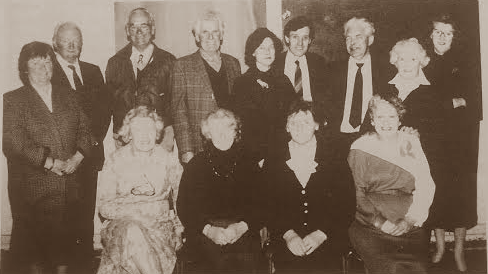 Committee members 1989-1991. 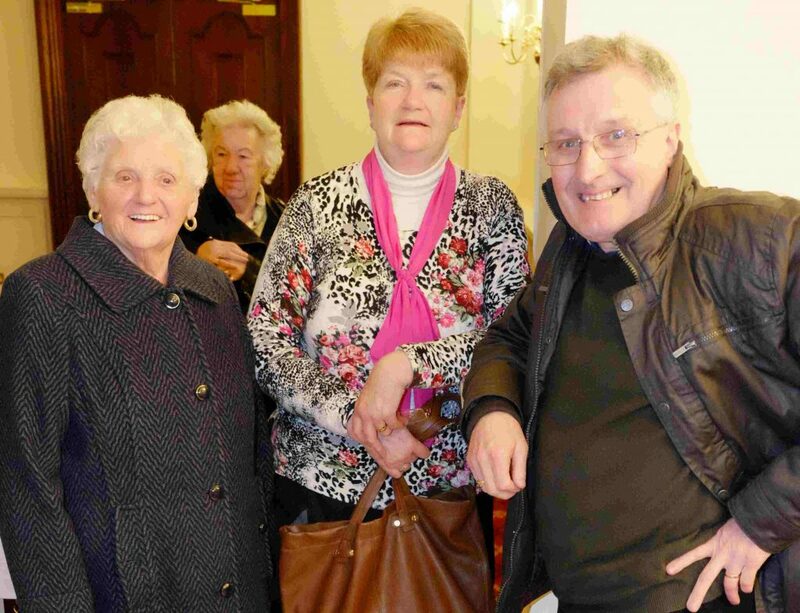 Including 2017 committee members, Brian White, Nancy Mahony and Eva Sutton (President, seated front left). Tom Conlon in front of a full house in the Royal Hotel. 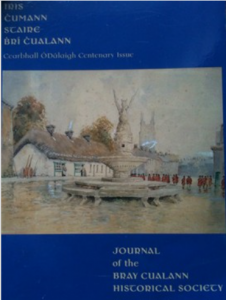 Victorian Dún Laoghaire: A Town Divided. 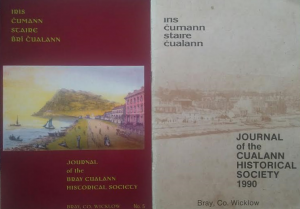 Nancy Mahony, May Harte and Brian White, Committee members of Cualann Society. 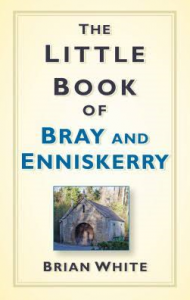 The Little Book of Bray & Enniskerry, Brian White.